2 Beds 3 Baths 1 Partial Bath 2,120 Sq. ft.
Rare Find at The Jewel where you will achieve downtown luxury living at its finest. 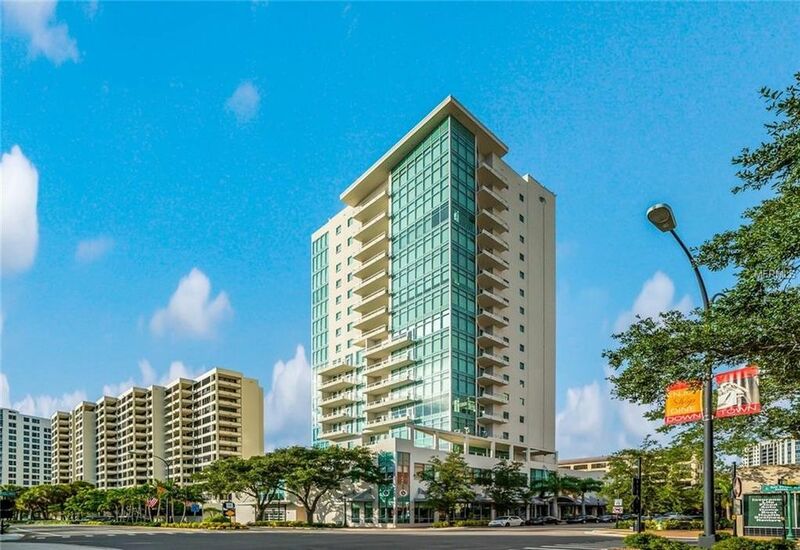 This modernly designed corner unit boasts spectacular unobstructed views of Sarasota Bay, Marina Jacks, Big Pass and the Gulf of Mexico. Every detail in this home has been carefully curated to provide contemporary and luxurious finishes for the most discerning buyer. From the Italian EBL custom cabinetry, Caesarstone waterfall countertops, oversized porcelain & hardwood flooring, high-end appliances, designer fixtures to the spacious master suite with a luxurious spa-like master bath, no detail was ignored. The living room displays floor to ceiling windows that gives you 180 degrees of the finest waterfront and skyline views in Sarasota. The second bedroom suite is the perfect space for guests or family members. Don't miss the den/office space tucked away for privacy and front & side balconies. The Jewel offers 24/7 concierge services and an entire amenities floor which includes a lounge with a full kitchen, infrared sauna, steam bath, full gym, yoga studio, Pilates area, swimming pool with a spa, paddle tennis court, putting green, outdoor kitchen, and so much more. 2 prime parking garage spaces & additional air-conditioned storage. Live the dream in the Heart of Sarasota while being minutes from Bayfront Park, Ringling Bridge, St. Armands Circle, crystal sand beaches, theatres, the Sarasota Opera, fine dining and shopping and all that downtown and the Sarasota area has to offer. Schedule your private showing now. Directions: Corner of Gulfstream Ave and Main Street. Enter the lobby 1301 Main Street to check in withfront desk.